They say justice is blind…right? Well, imagine walking into a courtroom to plead your case, but the burden of proof isn’t on the prosecutor: it’s on you. Unfortunately, this accurately reflects the reality of the chargeback dispute process. Disputes were not designed to favor merchants, who are effectively considered guilty until they can prove themselves innocent. This brings up the question: is it possible to win a chargeback dispute? Should you really invest the time and energy required? A chargeback dispute isn’t easy. It’s a time-consuming and costly process, but not disputing can be more expensive in the long run. Chargebacks inevitably result in more than just lost sales. Each sale that turns into a chargeback also entails lost shipping costs, merchandise, and processing fees, plus all the added fees associated with the chargeback itself. These losses can mount quickly; in worst-case scenarios, merchants who experience too many chargebacks risk having their accounts terminated and their processing ability revoked. That alone could mean going out of business entirely. There are, of course, numerous steps you can take to prevent legitimate chargebacks…but those actions won't help against fraudulent chargebacks. Given that upwards of 80% of all disputes may be attributable to friendly fraud, you won’t get far relying solely on prevention. That's why representment is such an important part of an overall chargeback management strategy. Each time you process a payment card transaction, the sale is "presented" to the bank. Thus, "representment" is the act of submitting a transaction a second time. Representment is commonly referred to as second presentment or a chargeback dispute: you dispute the issuing bank's actions and the resulting loss of funds. Representment: The process of “re-presenting” a transaction to the cardholder’s issuing bank. 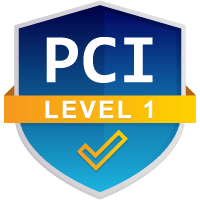 This process begins when a customer files a chargeback, either claiming that the charge was unauthorized or that the purchase did not live up to the terms of service in some way. If a chargeback is essentially the process of overturning a purchase, then representment asks the issuing bank to nullify the chargeback and charge the cardholder again. Of course, even if you win a representment, the cardholder can file a second chargeback, and the process starts again. Losing the battle against chargebacks? Let us help. Why Is a Chargeback Dispute So Important? Of course, transaction disputes will still happen no matter how hard you work to prevent chargebacks. Consumers have learned to exploit loopholes in the process; they’ve been trained by years of lax standards to see chargebacks as an alternative to a refund, rather than an emergency consumer protection. A minority of consumers even deliberately manipulate the system, attempting to secure products at no cost; a form of chargeback fraud known as "cyber shoplifting." Recover revenue that would otherwise be lost. Challenge negative customer behavior and the faulty system that enables it. Send a message to banks: "there's a problem here, but it's not us." Not disputing chargebacks has the opposite effect; merchants end up losing revenue, but they're also tacitly encouraging the fraudulent behavior. In fact, with friendly fraud cases that are not challenged through representment, nearly half of the offenders will file another illegitimate chargeback within 90 days. Additionally, banks tend to view undisputed fraud as an admission of guilt. In their view, if you don’t challenge the chargeback, it must be legitimate…right? This all helps explain why you should engage in a chargeback dispute through representment any chance you get. Unfortunately, fighting back isn't as simple as it appears. Understand chargeback reason codes, which vary greatly across different card schemes. Stay abreast of new policies for each card scheme like Visa Claims Resolution. Manage compliance with international initiatives like GDPR or the Digital Single Market. Spend time tracking down compelling evidence to support the merchant's dispute. Write and submit comprehensive rebuttal letters within a limited timeframe. Leverage Visa Resolve Online and other tools at your disposal according to best practices. It’s possible to engage every illegitimate chargeback dispute and have them overturned. It helps, however, if you know the "tricks of the trade." The chargeback representment process is an essential right granted to merchants by the card networks. 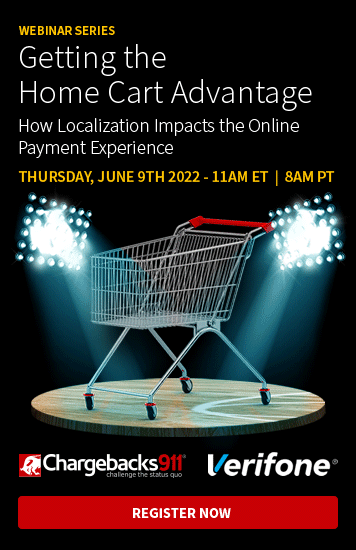 It is the only way for merchants to recover lost revenue and challenge illegitimate consumer behaviors. But chargeback representment will only generate results if executed properly; inaccurate or incomplete disputes may do more harm than good. Card networks report that merchants win about 21% of disputes. This figure is less a reflection of actual guilt or innocence, and more an indicator of how difficult representments can be. Nevertheless, there are several things merchants can do to increase the likelihood of success. The chargeback process is defined by strict deadlines, documentation requirements, and more. Before you try to fight, make sure you have a thorough understanding of what will be required, and adhere to those standards. Unless you have appropriate records from the very beginning, your chances of winning a chargeback dispute are slim. Check with the card networks to learn what each considers acceptable forms of compelling evidence. Then, create an organization system to save the transaction documents you may need later. Learn to Read Reason Codes. Each chargeback is accompanied by a reason code that helps the merchant understand why the chargeback was filed. Each card has its own set of chargeback reason codes; some are simple and straight-forward, others less so. You'll need to be able to decipher which codes are which and identify the ones that are most often abused. 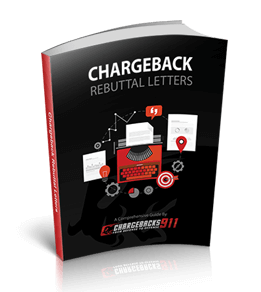 Every single chargeback dispute needs to be accompanied by its own chargeback rebuttal letter. Become acquainted with the letter writing process. Note which types of letters get the best results from each network. These pre-arbitration chargebacks (referred to as an arbitration chargeback by Mastercard) needlessly increase costs without boosting recovered revenue. Get it right the first time by doing your research to make each case is as airtight as possible and optimize your efforts. The industry lacks standardization. Each processor, acquirer, and issuer is allowed to process representments how they choose, so documentation requirements can vary from one entity to another. Failing to adhere to individual bank or processor preferences could get a representment denied without even being considered. Chargebacks are processed by humans, who can form long-lasting opinions about your business based on your submissions. You must craft professional cases that follow those requirements and are error-free. Anything that doesn’t reflect your business in the most positive light can damage your reputation. While most chargebacks can be disputed, disputing a case where the customer has a legitimate complaint really shouldn't be. Knowing the difference requires more than the ability to read reason codes: it also depends on understanding the real reason behind the reason code. Otherwise, you run the risk of disputing chargebacks that shouldn’t be challenged, hurting your reputation, and damaging customer loyalty. Is it possible to win a chargeback dispute? Of course. But that doesn’t mean it’s easy, nor is it something you should necessarily try to manage on your own. You should be focused on growing your business, not defending against chargebacks. You need professional insight…fortunately, we can help. At Chargebacks911®, we dispute chargeback cases: it's what we do, and we do it better than anyone else. Contact us today to learn how we can successfully challenge more chargebacks and significantly improve your bottom line.